Anna and I have been through a lot together. It seems like a lifetime even though it’s only been little more than a week. Did I mention Anna is my new tape dummy that was made in my likeness? I probably should have said that first, eh? I knew it had to be a custom tape dressform from the gate. 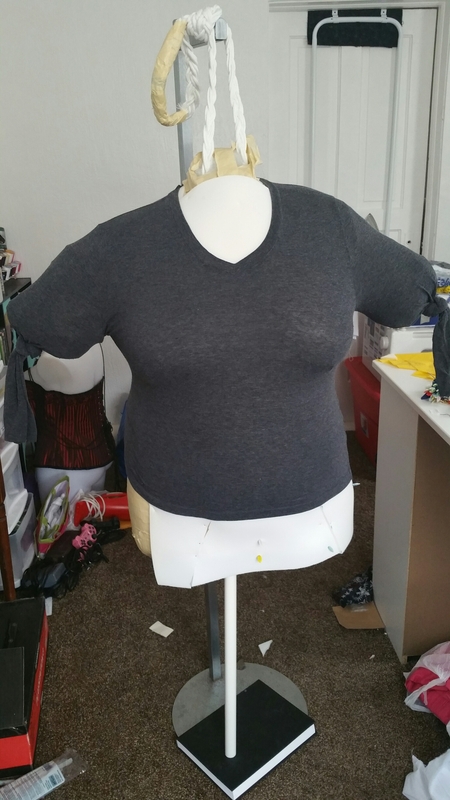 Most, if not all, manufactured dressforms have size charts that end well before my dress size. Not to mention that I have a short torso and a non-hourglass figure. Oh and retail dressforms are so incredibly expensive that I can hear my wallet screaming at the thought. So the dude and I picked a weekend and spent most of it fiddling with tape. I won’t bother to explain most of the process because there is an endless sea of tutorials for this sort of thing on the internet. 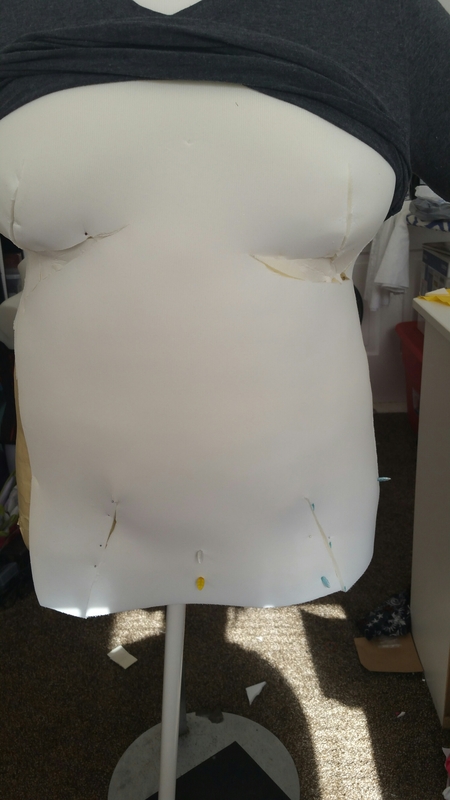 The one thing I did do differently was that I added zipties to the inside to support my more ‘extreme’ curves. 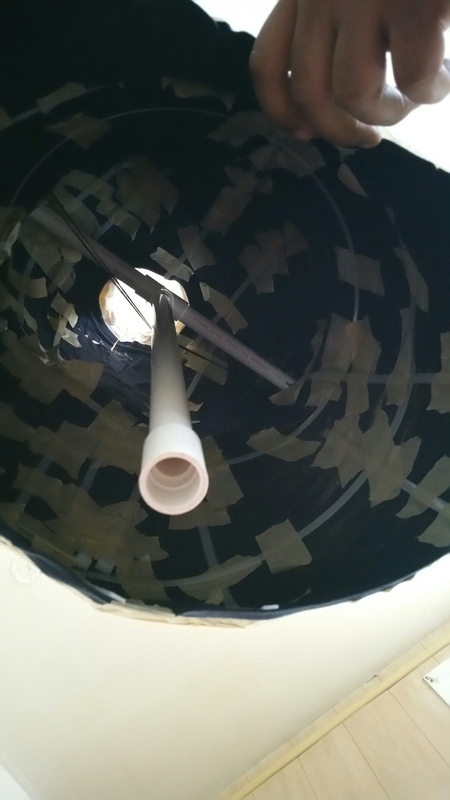 The inside support is made up of 2-1/2″ x 2′ pvc pipes, a 1/2″ coupling, and a 1/2″ threeway connecter thing. But before I added the zipties I passed a yarn darning needle threaded with embroidery thread through Anna’s sides because I noticed that she was beginning to flatten out. A good chunk of the task of placing and taping the zipties was done by feel. Originally, I had wanted to hot glue the zipties to the form itself but that sooooo didn’t happen. Just taping the ties proved to be pretty challenging by itself. It was tricky to try to get them to lay flat in the right direction. I don’t think I would have had any fingerprints left if I tried to hot glue the ties. 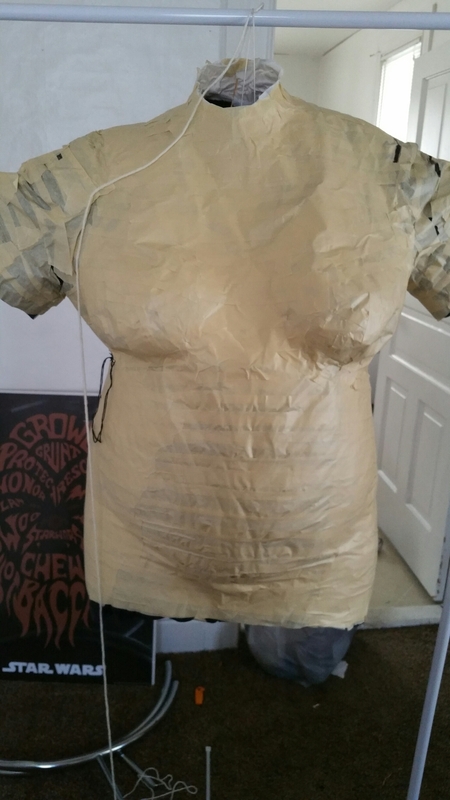 The breast cups were filled with fabric scraps to make them firmer than the rest of the mannequin. 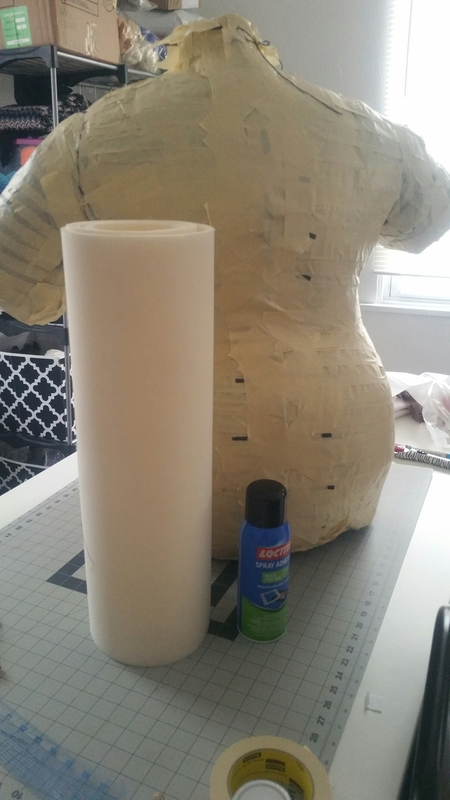 I felt that they would become deformed way too easily if I just used polyfill. 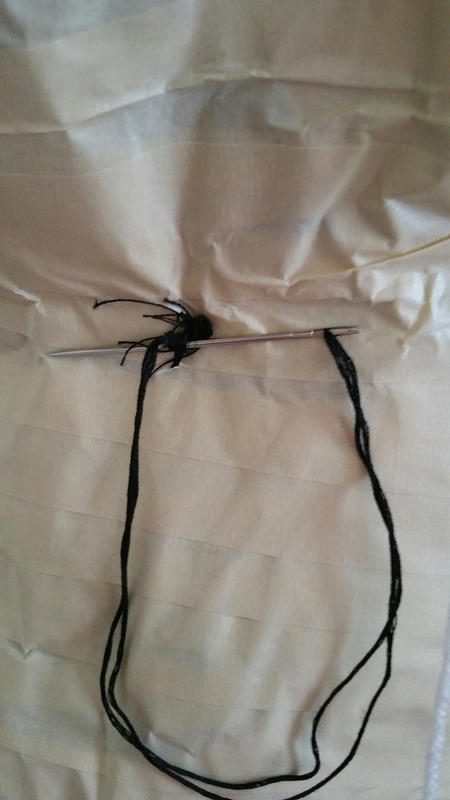 The ‘hanger’ is a clothesline that I braided and taped together. 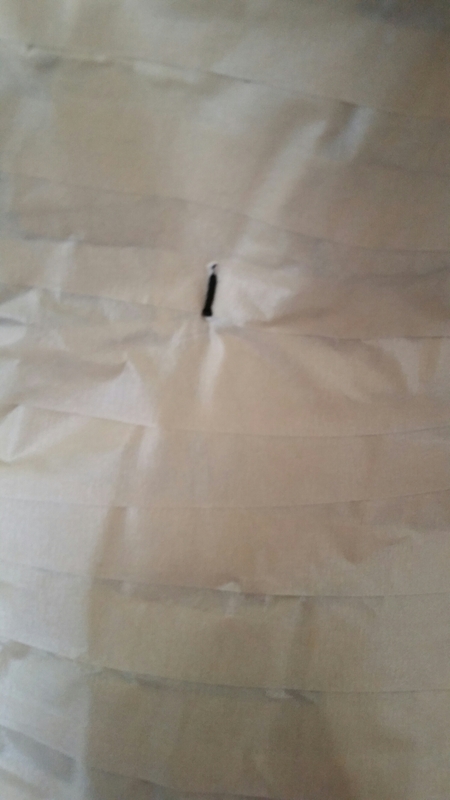 It is threaded through the t-connecter on the inside. 4 rolls of masking tape were used for this project in total. As much as I’m grateful that I have Anna, I’m not entirely pleased with how she turned out. It’s all my fault really. 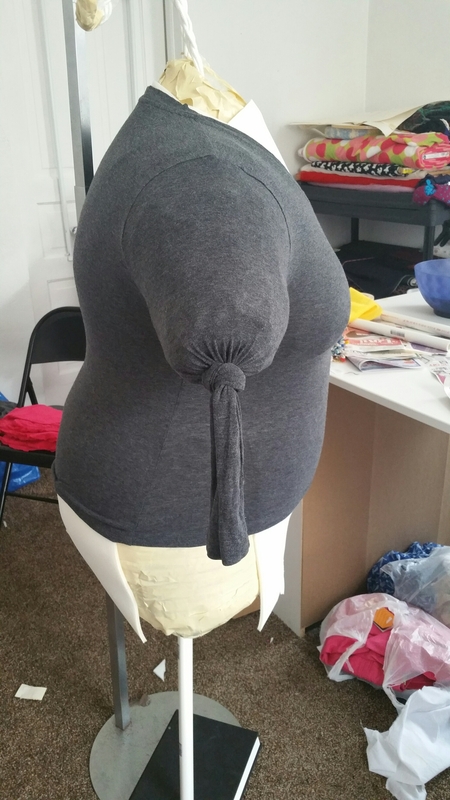 I put too much stuffing in at first and the neck got all warped in the process. 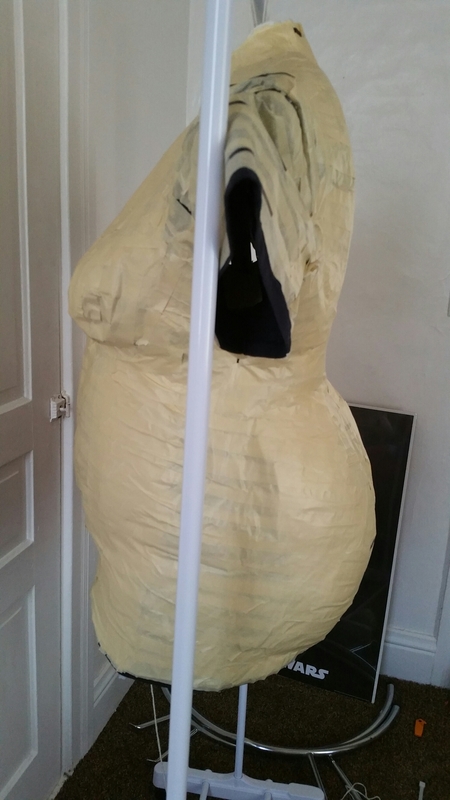 As hard as I tried to preserve her curves, they did flatten out a bit, especially her tummy. But at least she is partially pinnable! That fact makes up for a lot. So I hope you like her. You’ll be seeing a lot more of her in posts to come. 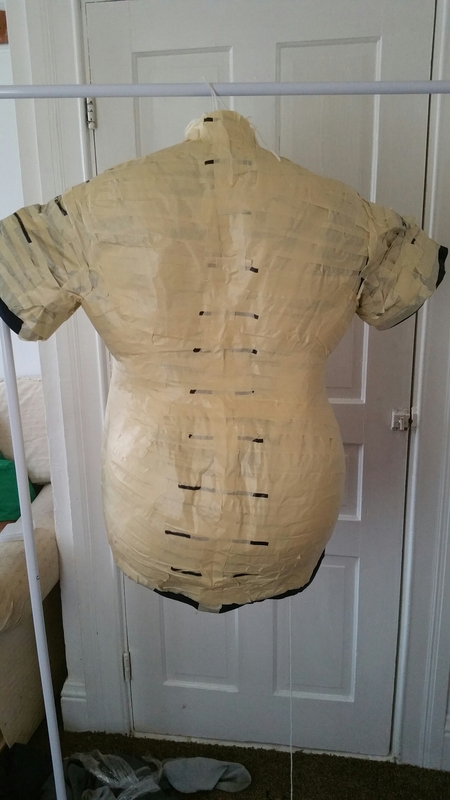 This entry was posted in Uncategorized and tagged body double, diy, diy dressform, dressform, pinnable dressform, plus size, tape dummy. Bookmark the permalink.